Sorry Barbs, after two and half years of very happy Wind ownership I have traded the car in, picking this one up next week. Their great reputation precedes all versions of the MX5. Which engine option have you gone for? 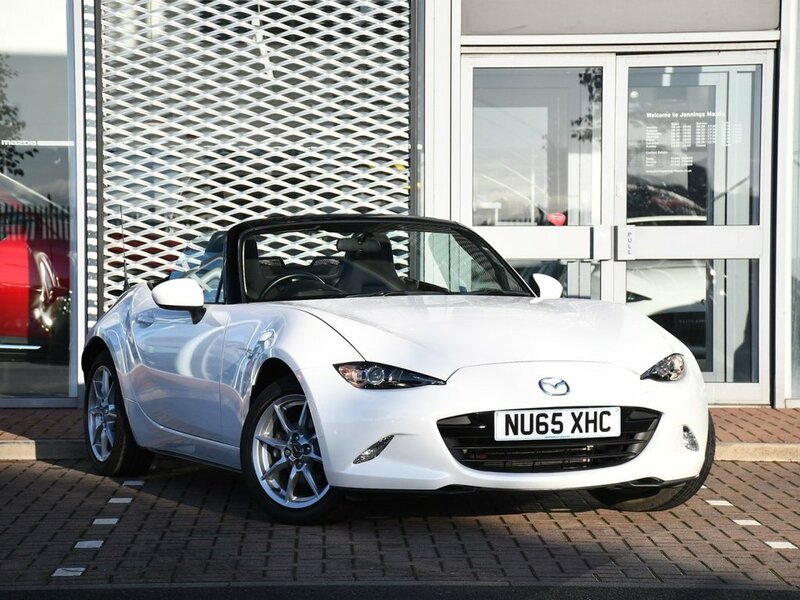 I believe the MX5 is the best selling sports car worldwide. When they were selling against each other the MGTF; of which I've owned two; did out sell the MX5 in the UK (Us Brits used to be so loyal!!) But elsewhere the TF stood no chance. I've gone for the 1.5, decent performance and good economy, it does look good in white as did my Wind. Almost 99% certain that one of my friends is buying the Wind, fantastic bargain with just under 14,000 miles on the clock. Well if you are changing from a Wind I guess the MX5 is a good swop. Mkstevo changed to the Fiat Spyder but at least he went for the right colour.... Blue. Hopefully you will pass on details to whoever buys your car, with just 14k on it Knebby might be interested as he has Red and Black already. Hope you still pop on now again again, being an ex Wind owner you might still be able to advise with problems.